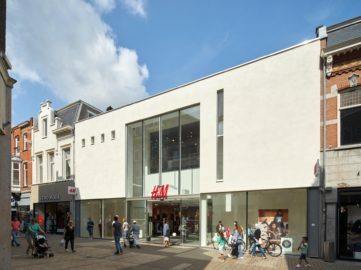 B+O Architecten has realised various shop buildings for fashion chain Hennes en Maurits (H&M). 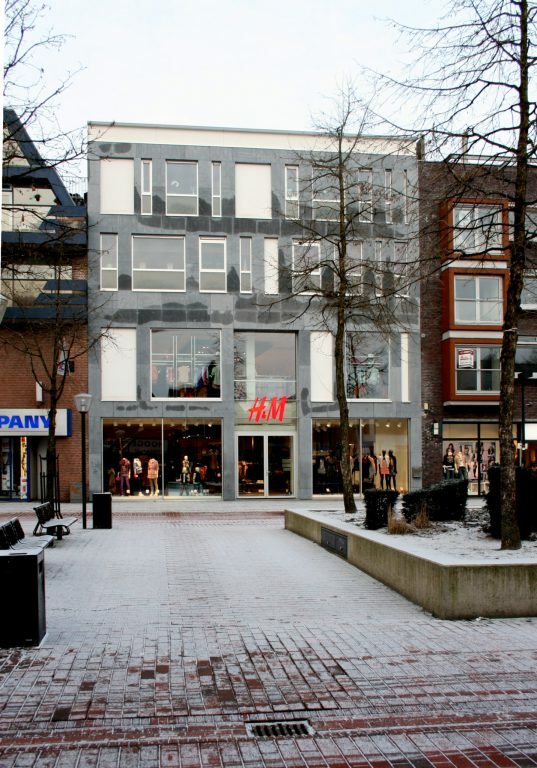 For example, the firm made a design for the shops in Drachten, Hoogeveen, Tiel, Winschoten and Zutphen. 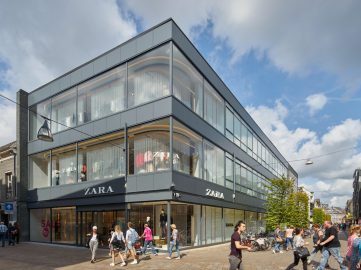 The retail properties have in common that they all match the identity and vision of the user; quality, character, open, accessible and a certain degree of style, luxury and allure. 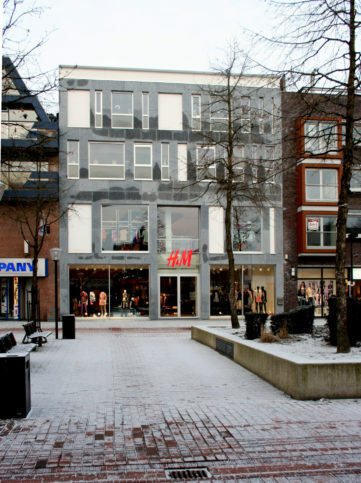 In Hoogeveen, a branch was opened in 2008 in which these properties have been translated into a special design. 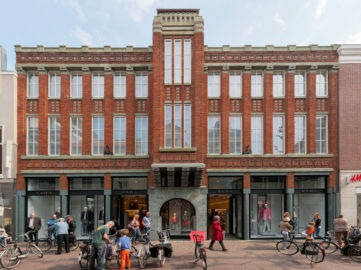 Starting points for the design were the required retail floor area, as large a shop window as possible and the accommodation of eight starter apartments. 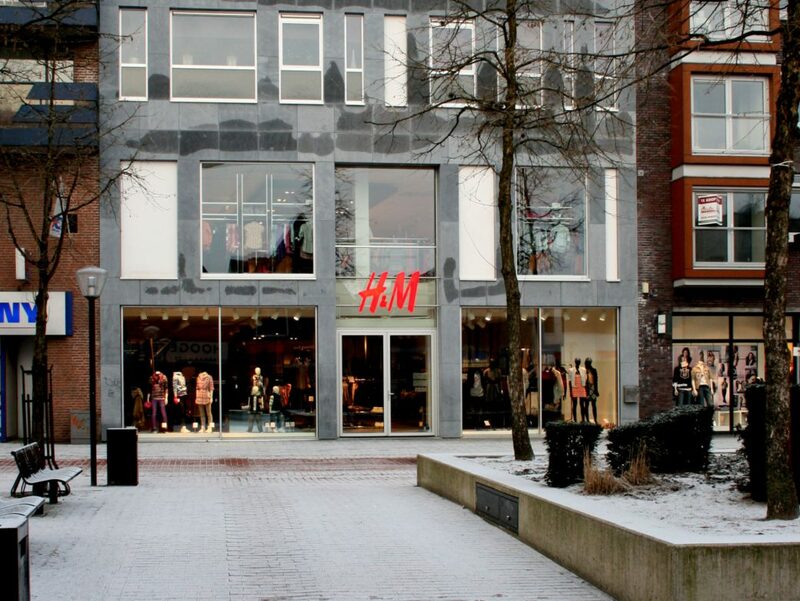 The shop is divided over two floors. 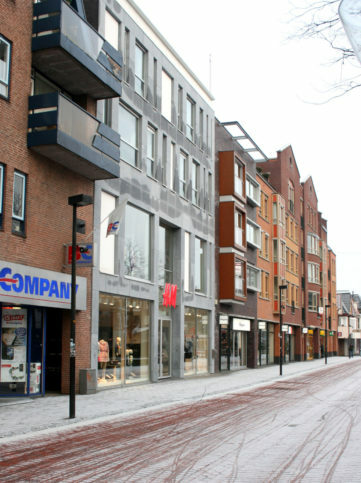 On the roof, between the two blocks with four starter apartments each, are the warehouse and the secondary spaces of the shop. 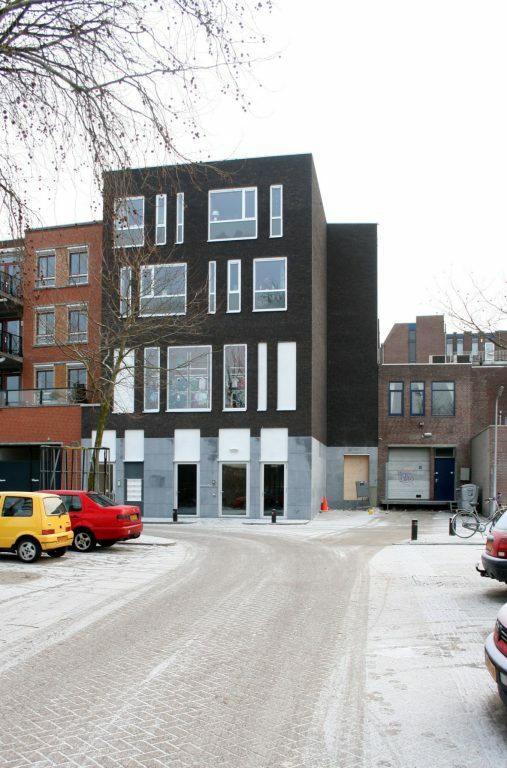 Four apartments are oriented towards the Hoofdstraat. 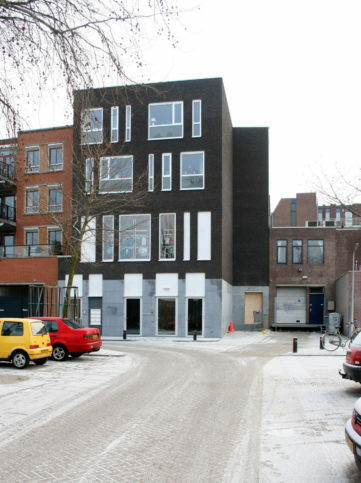 The other four apartments are oriented towards the Brederoweg. In order to allow sufficient daylight into the apartments, the apartments have floor-to-ceiling windows. 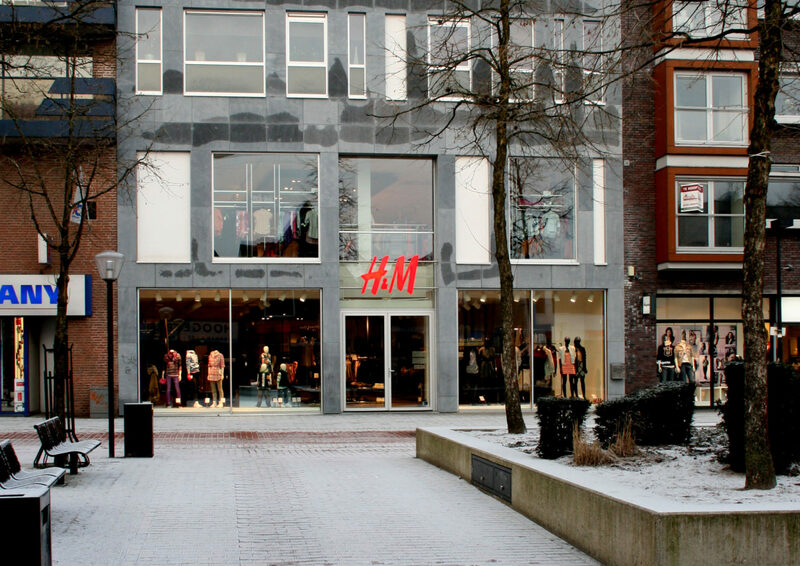 To give the building the requested allure, the façade has been covered in natural stone. 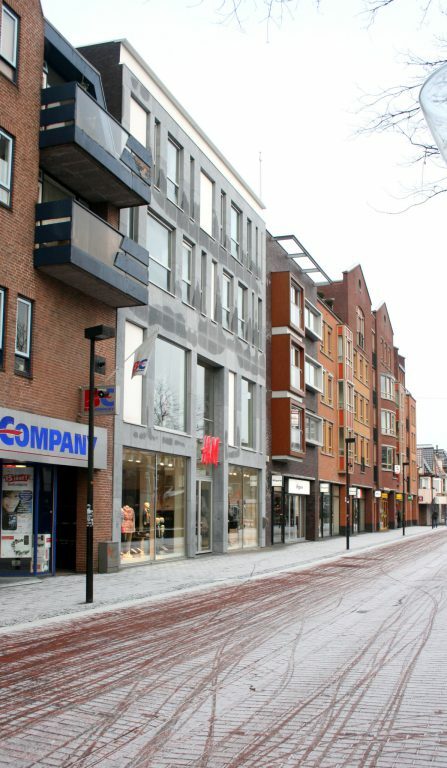 Thanks to the distribution of the windows and the natural stone slabs, the buildings blends into the urban wall of the Hoofdstraat.